How does a band follow-up a mammoth triple album into which they poured all the creativity they could muster? This was the existential question facing Swallow the Sun following the release of their magnum opus, 2015s Songs of the North, Vols I, II and III. 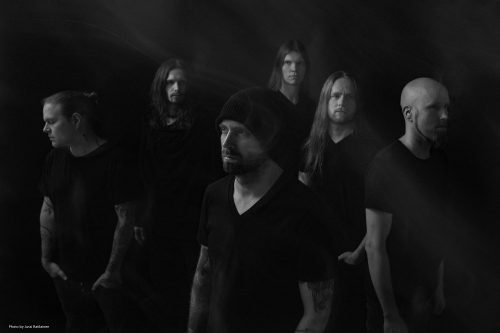 Unfortunately for the band, fate intervened and made the decision for them in 2016 with the passing of lead writer/guitarist Juha Raivio’s partner, Aleah Stanbridge (Trees of Eternity). Since then Juha has sought refuge in music as he struggled with his grief, creating Hallatar as a means to express his pain and loss. Upon returning to the Swallow the Sun fold, that pain still informed his writing, thus When a Shadow is Forced Into the Light became another vehicle for him to pay tribute to his lost love. The album title is taken from lyrics on Stanbridge’s Trees of Eternity debut, and essentially, this material plays out like a more melodic, restrained version of Hallatar. In place of that project’s crushing doom death is gloomy post-metal and 80s goth rock mixed with black metal and very small doses of doom death. It’s a surprisingly soft, mellow album sound-wise, at times almost seeming too restrained considering the heavy concept and grim perspective. Things open on a grand scale with the lengthy, slightly symphonic title track, which utilizes glum post-metal full of acoustic guitar-work to under-gird the clean crooning by Mikko Kotamäki. It’s all very melancholic, but quickly shifts gears as singing gives way to black metal screeching and cackling. The music itself doesn’t shift into higher gear, so it’s left to the vocals to convey all the tonal shifts as things otherwise drift along dreamily. The package of sounds works well enough, conveying both light and dark textures, but the length isn’t justified by the amount of ideas present in the song, and by the final third, it feels long in the tooth. “Crimson Crown” is longer still, but adopts a stunning mix of later period Anathema‘s soothing soft rock, Alcest‘s meloblack noodling and low-key goth vocals that remind me of Peter Murphy. It’s a beautiful song rich in emotion, referencing lyrics from the Hallatar album and its length feels less of an issue. The song breaks into sonorous guitar trilling around the 6-minute mark, perfectly accompanied by Mikko’s impassioned singing. It’s the album’s high point and really hits the heartstrings. After a midsection that feels a bit underwhelming and flat, the album bounces back for a very strong finish with the final four tracks offering interesting blends of goth, black and death metal, all featuring a heavy emphasis on melody. “Stone Wings” takes a page from the mopey goth of Sentenced and surrounds it with 80s style goth rock conventions before injecting black and death vocals near the song’s denouement. “Clouds on Your Side” feels like a collaboration between The Cure and early Paradise Lost as poppy goth rubs up against dour doom death in ways that you wouldn’t expect to work, but they do. The huge goth vibe really pays dividends here, creating an accessible foundation on which to layer the extreme metal elements. Closer “Never Left” is like a lost cut Paradise Lost‘s Icon album, finding the perfect balance of heavy and airy, and winding the album down in a hopeful, bittersweet way. 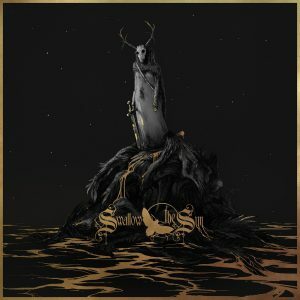 At 52 minutes, this is Swallow the Sun‘s shortest album ever. There’s still plenty of trimming that could have done to songs like the rather one-note “Firelights” and the meandering title track, but this is a step in the right direction nonetheless. Still, the album takes a while to find its legs and get traction, with much of the best material arriving on the back-end. Mikko Kotamäki deserves all sorts of praise for his vocal tour de force. He’s called on to emote with weepy clean singing, raspy, Vintersorg-esque cackles and deep, tooth-rattling death roars, and he succeeds on all fronts, breathing life and intensity into the material. Juha Raivio and Juho Räihä deliver a very restrained collection of leads, borrowing from 80s goth all the way up to modern doom death and blending in fairly creative ways. This isn’t an album full of crushing doom riffs however, and there’s far more soft, melodic noodling than anything else. This results in certain songs sounding too minimalist and languid, but for the most part the approach works despite the restrained sound palate. When a Shadow is Forced Into the Light is not the kind of album you spin once and fully appreciate. It’s a bigtime grower and only opened up for me after 5-6 spins. Sometimes the material struggles to get its emotional content across fully, but when it does, it’s very poignant and touching. Take away the lesser cuts and this is a much stronger album, but as it stands, it’s an interesting release with some very engaging material spanning multiple genres. I hope the process of creating it helped Mr. Raivio find some of the peace he’s seeking.